Pro-Lift offers a comprehensive and efficient solution for all your forklift training needs. 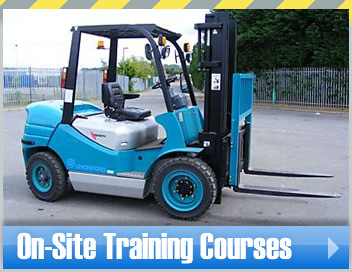 Pro-Lift is a forklift training provider located in the North-West of England. We can offer a wide range of tailor-made training solutions, and each is designed to keep your company working within the most recent HSE regulations. When you need an on-site expert, our professional team can provide forklift training in Cheshire to everyone from complete novices, to experienced operators who want to up-skill. We ensure the transition from one fleet to another goes without a hitch by giving Conversion Training or Familiarisation Training for newer employees. If your trucks have removable attachments which adapt them to different tasks, Pro-Lifts Attachment Training can ensure that your staff are suitably prepared to use them. 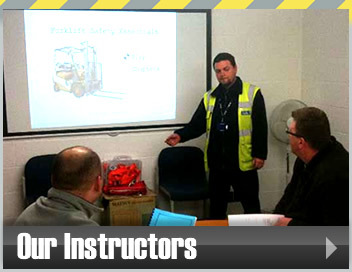 As well as training your workforce in Liverpool to use forklifts, Pro-Lift has instructors who are qualified in carrying out Company Assessments to help you make the right decisions about new members of staff. If you have an accident and you need to get to the bottom of it, let our Root Cause Investigations team find the answers. They will perform a systematic set of checks and then produce a report that highlights why they believe the accident happened and how to avoid similar incidents in future. As a busy company we understand that maintaining productivity levels is important to all businesses, that’s why our forklift training courses in Merseyside can be delivered at any time of the day or week. Our experts can also come to your site at the weekend and on bank holidays, causing minimal disruption to your schedules and working pattern. 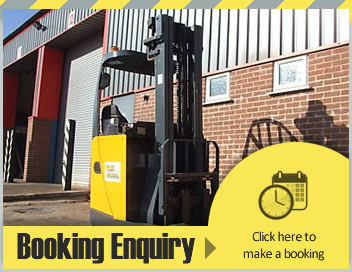 When you are looking for the right forklift training in the Manchester area, cost is likely to be a factor. Our on-site instructors can provide an extremely economical service that fits in conveniently with your commitments. Instead of having to visit an external centre, staff are taught in their own workplace and better still, we will train them up on the equipment they’ll be using eventually. For all your forklift training needs in Warrington or the surrounding area’s, Pro-Lift can help. Just get in touch today to find out how what we can do for your business.